Arthroscopy is minimally invasive joint surgery. This procedure is performed through small incisions without opening the joint.This is the standard for human joint surgery. The Tightrope procedure was developed to provide a minimally invasive and improved method for extracapsular stabilization of the cranial cruciate ligament. Valley Veterinary Surgery offers many services. Contact us for any emergencies or to learn more about what services we offer. 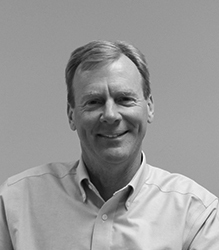 Dr. Cook graduated from the University of Illinois with a BS in Biology in 1983 and received his DVM in 1987. 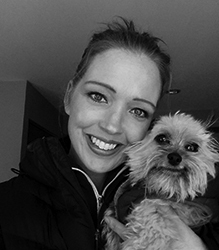 Amanda attended ISU, however her interest and love of animals lead her back to the veterinary field. 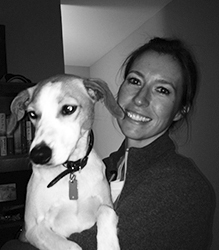 Kristen Travesio, CVT is a graduate from Parkland College’s Veterinary Technician Program in 2002. 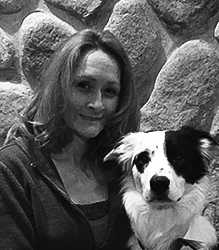 Christy Pennisi, CVT is a graduate from Parkland College’s Veterinary Technician Program in 1999. Valley Veterinary Surgery is a well established referral facility serving the Chicagoland area including St.Charles, Geneva and Naperville with only the highest standards of medical care available for your pet. With over 20 years of clinical arthroscopic experience, Dr. Robert Cook has limited his practice to minimally invasive surgical techniques including arthroscopy assisted CCL/(ACL) repairs in dogs using the laparoscopy and endoscopy. These procedures ensure the quickest recoveries and most accurate treatment plans for your pet. The most common orthopedic issue presented to Dr. Cook is lameness or limping usually involving the stifle or knee joint. If it is determined to be a CCS/ACL injury, DR. Cook repairs the damaged ligament using the Arthrex Tightrope system. This system has been used by Dr. Cook successfully in dogs of all sizes. Other orthopedic problems treated through arthroscopy are OCD (Osteochondritis Dissecans) of the shoulder or FMA (Fragmented Medial Coronoid) of the elbow. We are confident in our ability and our goal is to return your pet to their normal level of function as fast as possible by utilizing the least invasive form of surgery available, arthroscopy. Your pet will have less pain overall due to smaller incisions, less tissue trauma, better surgical visualization due to magnification, decreased risk of infection as well as the ability to go home the same day as the surgery. We would be more than happy to discuss with you, your pet's unique condition at a consultation. At that time, we ask that you bring or have records and radiographs faxed to our facility at (630) 208-7387, or sent to our email at valleyveterinarysurgery@gmail.com so we are able to fully evaluate your pet with their entire medical history. We look forward to meeting both, you and your pet, and being part of your pets' health care team. You probably don’t remember us, but you did “ACL” surgery on Dave at the end of April. We followed your instructions to the letter. Dave is a huge Black Lab mix at about 100#…and very athletic. He is doing great! Even though it was a pretty expensive surgery, it was worth it 100x’s. Dave is playing tennis, ball fetching and running! Thank you so much and certainly consider Dave a success! 100# Black Lab / owner Diana E.
A few weeks ago we had to make a gut-wrenching decision to undergo euthanasia for our beloved 11-year old Wheaton Terrier, Rocky. I wanted to reach out to your clinic, and in particular, Dr. Cook, because I truly believe the outstanding care Dr. Cook provided to Rocky several years ago with the arthroscopic knee surgeries (both back legs, 3 years apart), helped Rocky live a wonderful life and he was active up until the last month or so of his life. As part of my grieving process I felt it was important to share the news, and to offer my deepest gratitude to your clinic and Dr. Cook, as we appreciated it, and certainly Rocky benefited from the outstanding care. We have a 7- year old Shih Tzu, thankfully, and that has helped us get through these trying and sad times, and if we ever need specialized medical services (hopefully not!) for her (Ashlee), we will certainly bring her to your clinic. Take care and again, thank you for being a positive, uplifting part of Rocky’s life. Wheaton Terrier 11-year old / owners Jeff and Taryn B.
Daisy has had both of her knees fixed using arthroscopy and Tightrope. She recently had her right knee fixed and is acting like she never had surgery. The second knee recovery was very easy. She is back to normal! Dr.Cook is fantastic! Cooper had both knees repaired using the Tightrope. He is doing great and back to full activity. I am very happy with the outcome! I was a stray that found my way to Dr.Cook through Rover Rescue. My knee was shattered and needed to be fixed so I could walk again. Dr.Cook repaired my fracture and then later adopted me! Now I love to run and chase chipmunks! Gizmo came to Valley Veterinary Surgery through Rover Rescue a local rescue organization that finds pets that usually need a lot of medical attention. They are a terrific rescue that get them the care they need and then adopts them out. Gizmo came to us with a broken left hip and left femur that had actually healed terribly incorrectly with his femur sticking out toward the middle of his body. We did not know his exact history as we assumed he was either hit by a car of kicked by someone to cause such trauma. Through two separate surgeries, Dr.Cook was able to get him to where he is able to have a normal life again. He is in a house with three small children who love him dearly! He runs up and down the stairs chasing his toys on a daily basis! Amanda was very informative about all knee repair techniques. I drove a long way because of the valuable explanation I received. Because he is a Rottweiler, I was told to have the TPLO technique done, however I wasn’t convinced due to the invasive nature of it and wanted something better for Leo. Wanted to pop in and let you know how wonderful Buddy is doing at his 2 year anniversary of tightrope repair done 12-21-12! I was a mess 2 years ago with worry… Your staff was so kind to both of us… He is doing awesome! Thank you! Ruby is doing great! She had a TPLO done on her right knee in 2013 and had a rough recovery. She had the Tightrope procedure done on her left knee 3/11/2015 and was much more comfortable. © 2018 Valley Veterinary Surgery	| Powered by THE Marketing Group Inc.